Christmas is only a few paychecks away yet again. Time to find the best Christmas gifts now, before they fly off the store shelves. As with any gifts, what is the right gift will depend on the girl. However, the popular gifts listed are considered popular because a large number of girls want them. There is no question about what the top toy for most girls between the ages of 5 and 8 is this year. 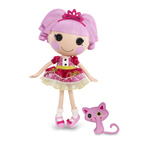 Anything Lalaloopsy is flying off the shelves already. The large dolls are extremely popular, and there is a nice variety of them to choose from. However, some people are buying many different Lalaloopsy dolls, not just one. I have found them around $30, but there are some around $50. The mini Lalaloopsy dolls are also very popular. They make great small gifts or stocking stuffers. Monster High dolls are also still popular. They just came out with a new line that seems to be popular. The one hour TV special is only going to increase the popularity of the Monster High dolls. I suspect that Abby Bominable is going to be a popular doll. Though I think Clawdeen Wolf, Draculaura and Franki Stein are going to continue to be very popular as well. 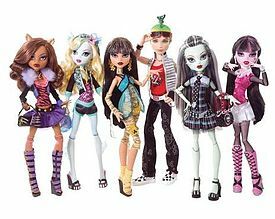 I know my daughter would love to receive more Monster High dolls for Christmas. However I found a Monster High video game, which is a great gift. 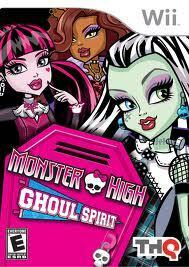 Monster High Ghoul Spirit was released on October 11, 2011. It is available for Nintendo DS and the Wii. The Monster High books, written by Lisi Harrison, may also be a good gift option. 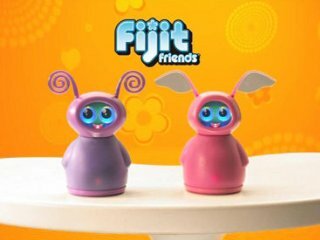 Fijit Friends is another top requested Christmas gift. It is interactive, dances and tells jokes. The kids seem to all respond to the commercials. However, I am not sure how sustainable this toy will be once the first thrill of playing with it passes. The kids seem to love it and ask for it every time they see the commercial, but as a parent I am not drawn to it at all. But then I am not the one who would be playing with it. Who knows, maybe the Fijit Friends will entertain the kids longer then a day or two. As always though it is about what the kids want, not how long they will play with the toy and they seem to love Fijit Friends. Furreal Friends toys are consistently popular. The small Furreal Friends animals are wonderful for small gifts and stocking stuffers. They even seem to maintain children’s interest. My daughter still plays with the ones she received last Christmas and the last two birthdays. However, she treats them more like dolls then moving toys. The larger Furreal Friends are always popular Christmas gifts. This year Cookie my playful pup is getting a lot of attention. So are the Furreal Friends Newborns, Walking Kitty and Go-Go Playful Pup. 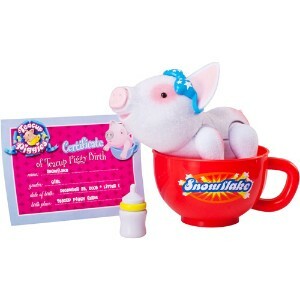 The Teacup Piggy Basic and other Teacup Piggies are cute and little girls seem to like them. They combine the appeal of baby dolls and animals. Swquinkies and Zoobles are also great Christmas gifts. There are Swquinkies and Zoobles gift for every budget. There are large items – play areas for the Swquinkies and Zoobles and there are small individual Swquinkies and Zoobles for small gifts or stocking stuffers. The Zoobles are like a colourful variation on bakugan. They role, pop open and can be played with. 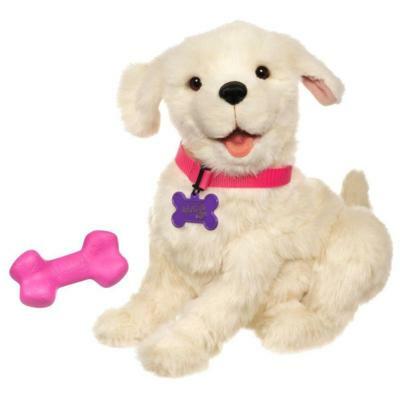 Swquinkies are little dolls, animals and other characters to play with. Swquinkies and Zoobles look cool and they actually get played with. Mind you, they can get lost quickly. The Wii or Nintendo 3DS can get a great reaction on Christmas morning. More importantly there are always new games coming out that will also get great reactions. For example last year Zu Zu pets where big last year, we found a Zu Zu pets Wii game, which actually got more play time then the actual Zu Zu pets the kids received at Christmas. I found a wonderful Monster High Doll Wii game that I expect will be popular with my daughter for a long time. There is even a Lalaloopsy DS game out this year. Littlest Pet Shop and Polly Pocket always have new toys that are popular. This year both the Littlest Pet Shop and Polly Pocket have jets out this year. The joy of the Littlest Pet Shop and Polly Pocket is that there is always something new. The toys will range from the very small, and inexpensive, to large and expensive. 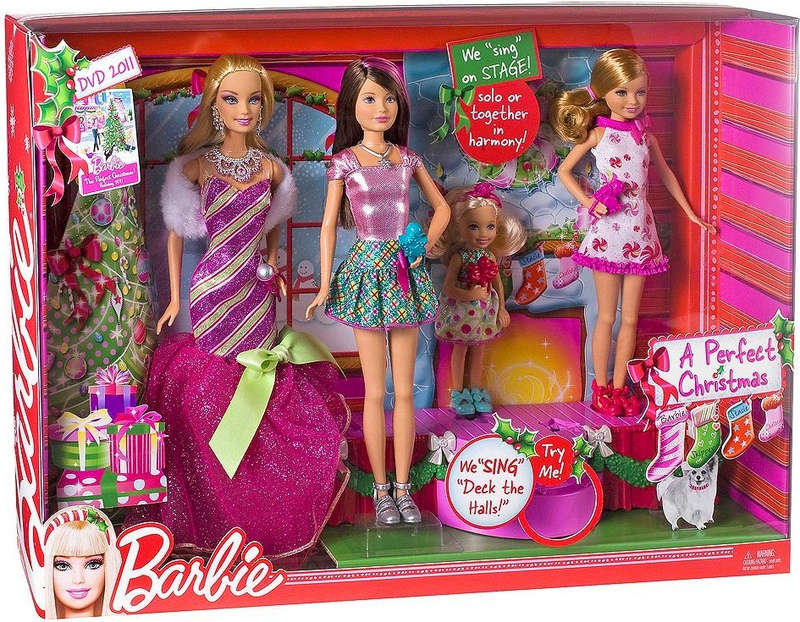 Barbie, the always popular theme gift. 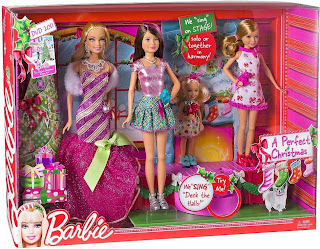 There are more Barbie gift ideas than ever. There are always new Barbie’s out. Then there are the accessories, cars, pools, planes and even castles. Barbie has more clothing options then most fashion lines. There are movies, video and board games, books and more. You can find clothing, posters, furniture and even crafts with the Barbie theme. There are many more Christmas gift ideas for girls between 5 and 8. I have only listed ones that have stood out so far this year. If you think a gift is perfect then it probably is, even if it is not on this list or any others. It is about finding the right gift, not always the most popular one. Great gift ideas on this list. You should add TagTailz, my girls and their friends love them. They are a neat accesory to tie up you shirt with different charms and beads.